Monthly rental pricing incudes delivery, pick-up and one weekly cleaning, additional cleanings are available upon request for a weekly fee. Our crew routinely services the same area each week, so you can guarantee that your pot will be cleaned regularly. If you are calling last minute and have already started your job and forgot to order the portable toilet, no worries, we will do our best to deliver to you within 24-48 hours. 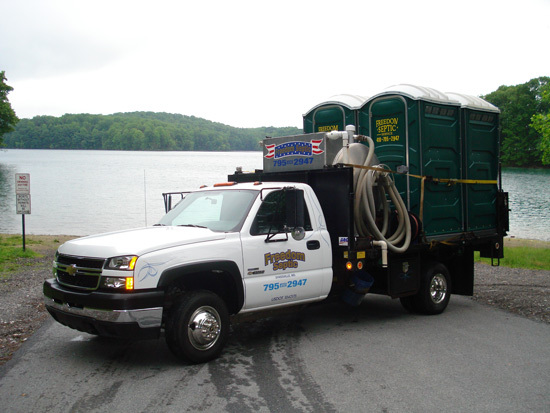 Freedom Septic Service, Inc. also offers trailer hook-ups for water and sewage for construction trailers.